10 students participating in the law clinic, acting for two jailed Vietnamese bloggers will be filing a petition on behalf of their clients at the United Nations Working Group on Arbitrary Detention. 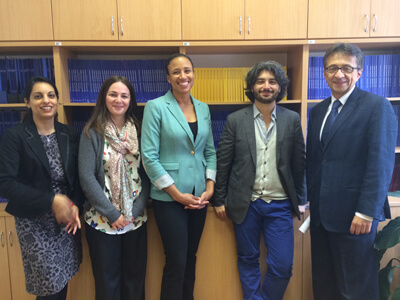 Garden Court Chambers and its partners, Oxford University, Zagreb University and Media Legal Defence Initiative (MLDI) have come together to launch an innovative law clinic based in Zagreb, Croatia. 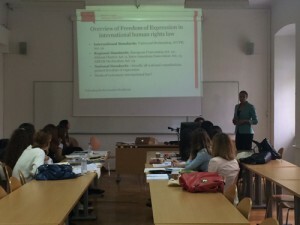 The law clinic enables 10 participating students to have the benefit of the combined expertise of professors delivering lectures electronically from Oxford University and Zagreb University, complemented by clinical legal supervision delivered by Smita Shah of Garden Court Chambers and Nani Jansen, Legal Director at MLDI. Over the course of 10 weeks, the students gain grounding in the theoretical boundaries of freedom of expression and litigation before international and regional human rights mechanisms. The students will also research, draft and file petitions on behalf of their Vietnamese clients to the United Nations Working Group on Arbitrary Detention. The law clinic pushes the boundaries of clinical legal education, presenting a unique opportunity for the students to benefit from the global expertise and diversity of experiences of academics and professionals from each of these institutions. The partners are: The Programme for Comparative Media Law and Policy, Oxford University and the Law Faculty at Zagreb University, Media Legal Defence Initiative, a non-governmental organisation which provides legal representation and support litigation on behalf of bloggers and journalists facing violation of freedom of expression, and Garden Court Chambers. Smita Shah is a member of Garden Court International.